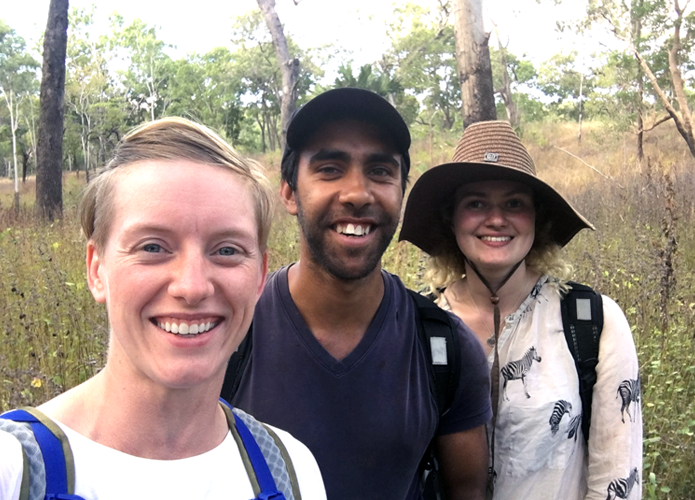 Up in Rossville, we were given an opportunity to join a group of locals on one of their weekend bush walks. The group gets together every few months to hike new trails and camp out. It was an amazing opportunity and I learned a lot from the locals I got to speak to. An 80-year-old named John led the hike, and he knows the bush like the back of his hand. He crushed the entire group, walking twice anyone else's pace. 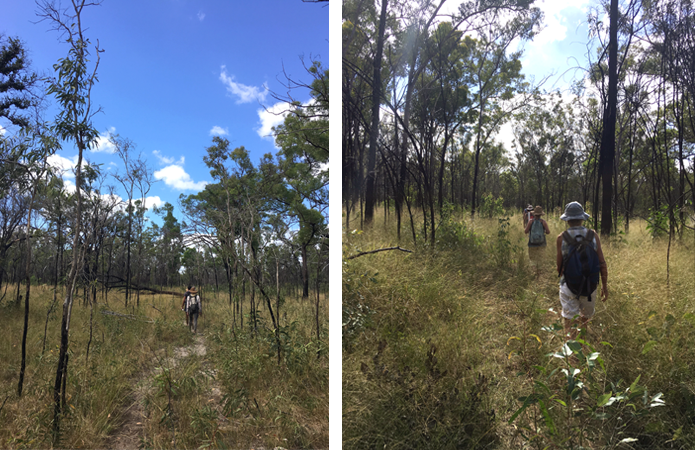 One of the bushwalkers arranged access to an old cattle station along the former Cooktown Railroad. The property is owned by a local Aboriginal family and is closed to public access. The family occupied the station until about 1970 and at that point decided to move somewhere closer to civilization. About 5 km into the hike we came across the old homestead, which bears flood stains halfway up the walls and has the wood stove still in place. When the family left, they were operating on kerosene lamps and rainwater pumps. The dirt roads through the property were a lost cause in the wet season. The family would leave a car where the roads were manageable and transfer to a horse and buggy to make it up to the house. Our fearless guide John with a children's python. Sick. • Old railroad tunnel completed in 1891. Today the area is traveled maybe a few times a year when the family comes out to slash vehicle paths. In a four-wheel drive truck, it took us roughly 30 minutes from the public road to our campsite. And the old homestead was another 30 minutes from our campsite. That means their driveway would take an hour to traverse! You’d never want to leave your house! Hearing stories of their lifestyle made me think of the early 1900s, not fifty years ago. Long story short, we were in a very remote bush territory. 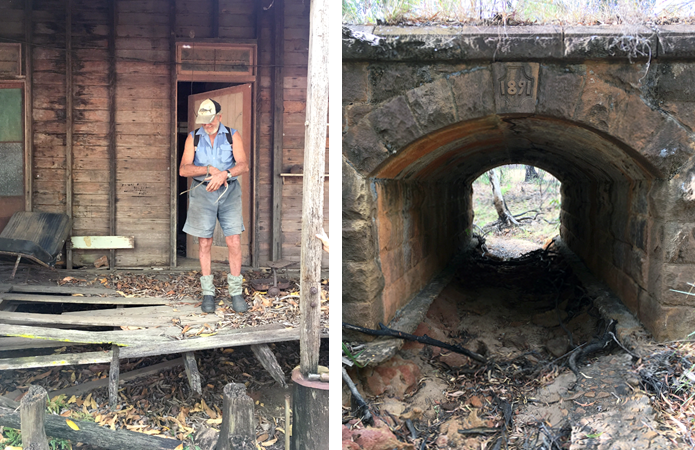 Located on the property is the derelict Normanby Train Station, a stop on the former Cooktown Railroad. The railroad, which connected Cooktown and Laura, was built to transport gold. It had a tumultuous history as the government decided it didn’t want to spend money on the construction after it was started. The ownership was transferred to the local council, and when they earned a profit on the railroad, the federal government took it back. Construction on the track started in 1884 and the railroad has its final run in 1961. Parts of the railway were sold for scrap but a lot of the railway sleepers and structures are still in the ground. We collected several railroad ties along the way. 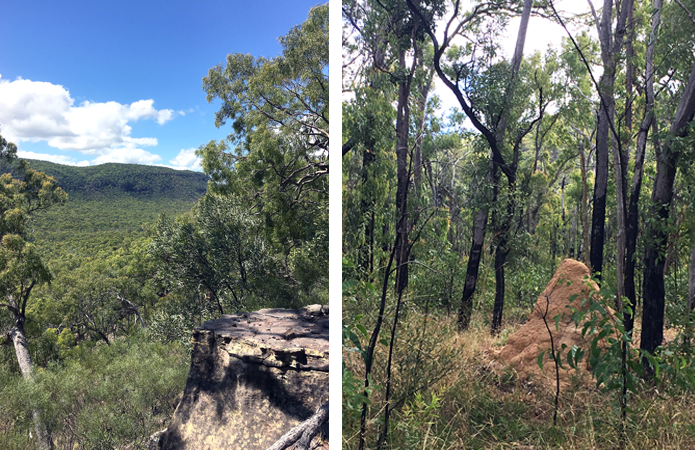 The owners had told the group there was a mountain on the property with a sacred Aboriginal cave and waterfall at the peak. With the help of old maps, we followed along the train tracks and miraculously found our needle in the haystack. While we weren’t able to find the waterfall, we ate lunch under the Aboriginal cave paintings. There was a discussion that we could be the first white people to see those cave paintings as the land has been privately owned for decades. View from the top. • Red termite hills cover bush areas. Some hills are taller than me. We hiked as far as the cave and headed back after finishing lunch. By the end of the day, we had completed nearly 20 kilometers. I was not mentally prepared for that distance. And by the last hour, I was definitely in grouchy Kat mode. I was filthy, sweaty, covered in prickles and the green ants had started to bite. As soon as we saw the vehicles I started to run as I sang halleluiah. I immediately gave myself a baby wipe bath and a change of clothes. Roughly 15km in. This was probably the last time I smiled until I saw the truck. The weekend was such an amazing experience and one I could not have arranged myself; so another big shout-out to my hosts for opening up the invitation to us. 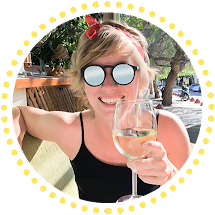 I survived sleeping in the middle of nowhere in nothing but a swag (A funny / unnerving story: I woke up and kicked a small shrub at the end of my swag in the middle of the night. When I woke up there was no shrub...). I climbed a mini mountain. I came across loads of bugs and a tiny snake. Guys, I'm so damn rugged these days!